Our whole goal for taking a year off and traveling this past year was to see as many National Parks and National Park Service sites as we could. While we didn’t get to see as many as we hoped (there’s always vacations in the future! ), we were amazed at the beauty in the National Parks we explored. There’s something about our protected public lands that gets in your soul, and speaks to you in ways that you can’t explain. 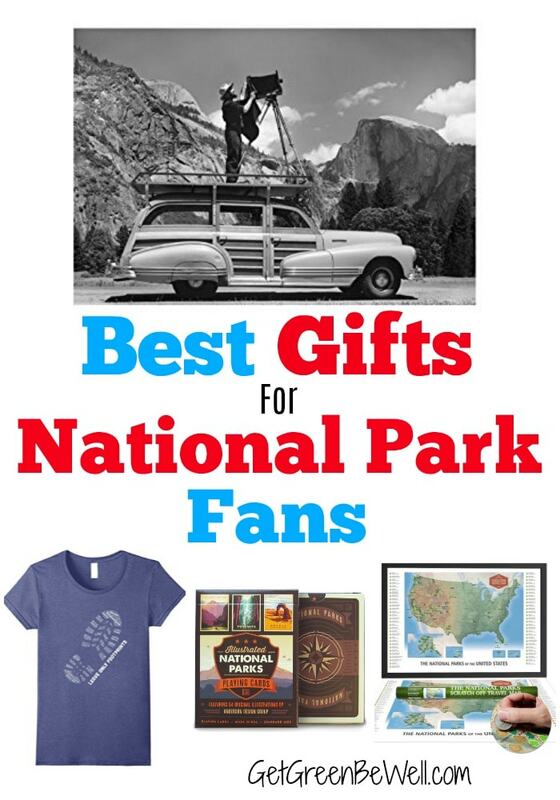 That’s why I really wanted to create a gift guide of best gifts for National Park lovers. 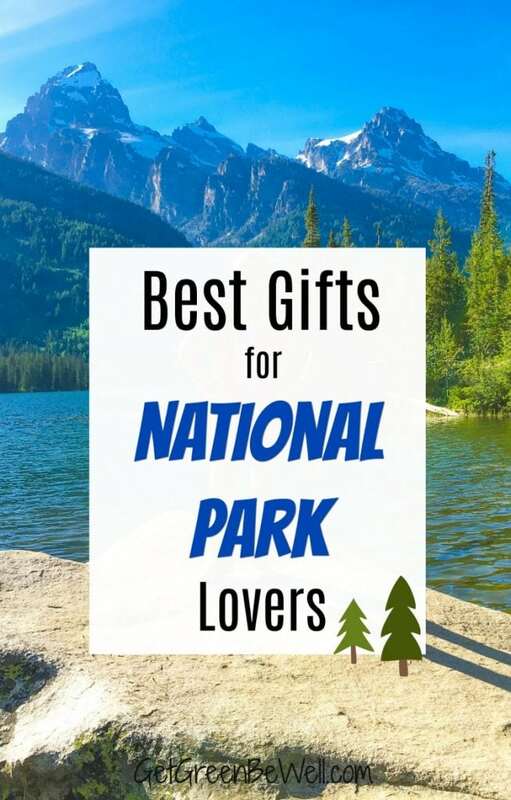 Whether you know someone who has been to the National Parks, or just dreams of being able to travel to them one day, these are the gifts that they’ll love. P.S. Check out my friend Park Ranger John’s site for great info and tips. Wondering what to get friends, family, co-workers, retirees, RVers, parents, grandparents, or children who love the National Parks? 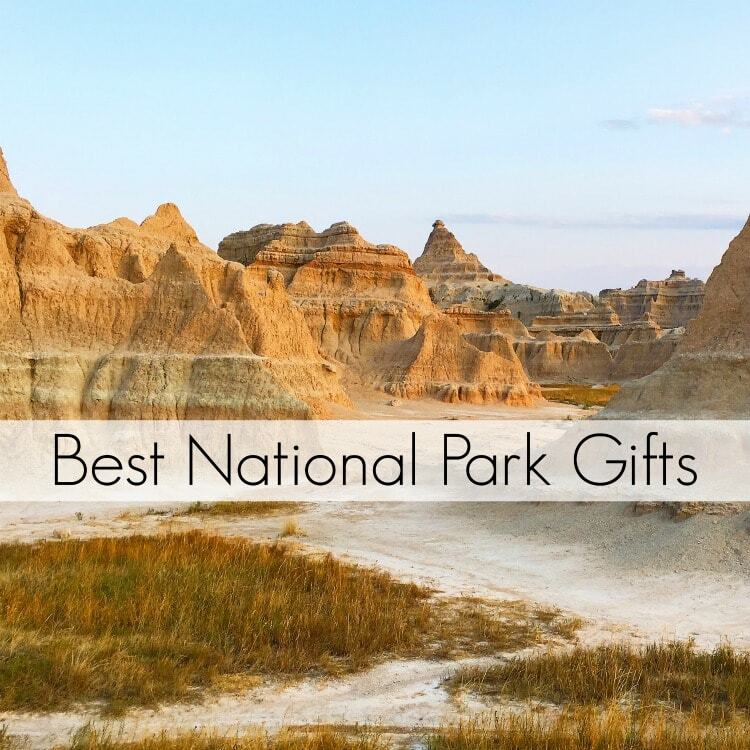 This gift guide has some great ideas that celebrate the National Park System as a whole. Remember, there’s National Parks and National Park sites (such as Historic Sites, National Seashores, etc.) throughout America, so also consider focusing on something that celebrates a local location for them. Or a location that they’ve been to and loved – or are planning a vacation to in the future. 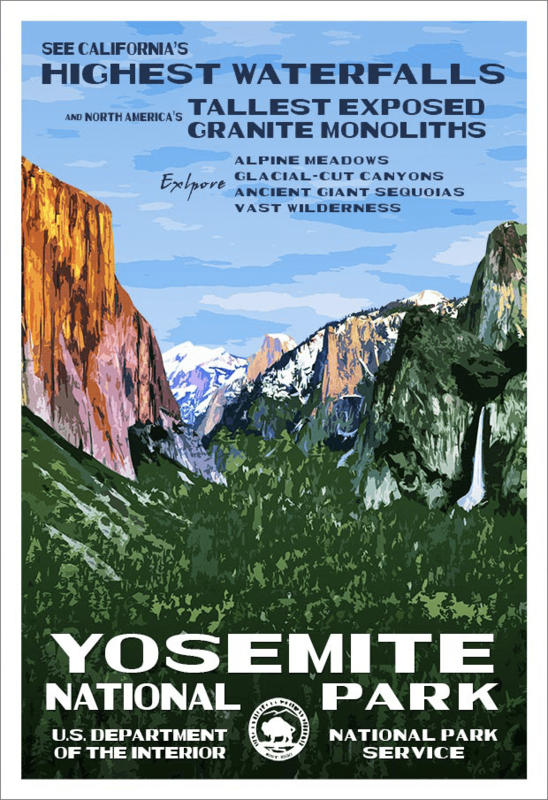 We fell in love with nostalgic posters that harken the early days of the National Parks. There is something so inspiring about a classic illustrated travel poster. So I was thrilled when I started browsing the website of Rob Decker, National-Park-Posters.com, who creates amazing artwork reminiscent of the Works Progress Administration style of the 1930s and 40s. Decker had the rare opportunity to study under famed photographer Ansel Adams in Yosemite when he was just 19 years old. Now he shares his gift with all of us who want a special remembrance of a National Park system site that we’ve visited or dream about. 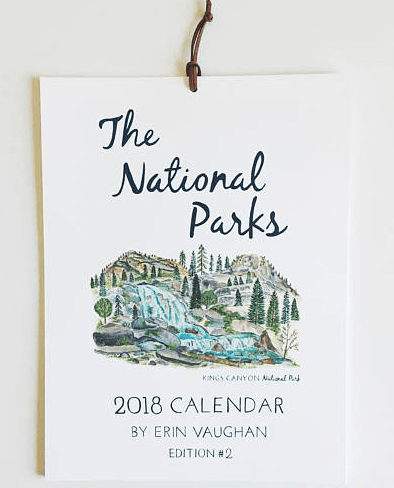 The post cards, posters, gift cards and canvas prints are printed on recycled paper with soy-based inks, and 10% of profits are donated to organizations that support our National Parks. Each original work is numbered, dated and signed creating a lasting keepsake. 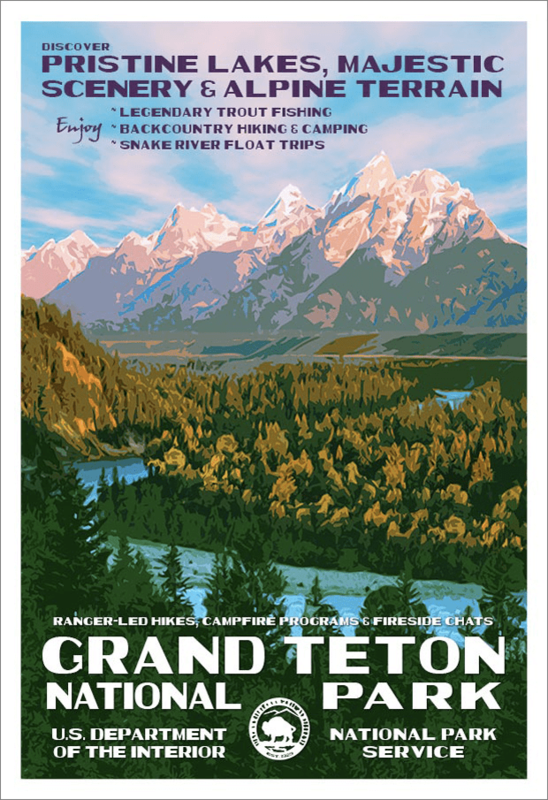 I was sent a poster of Grand Tetons National Park, the first National Park that I’ve ever visited and surely my favorite of all time so far, as well as the Blue Ridge Parkway, which is a local scenic road to me. I was really impressed with the shipping and care that the poster came in – a flat, heavy envelope with thick cardboard paper inside protecting a beautiful signed and numbered print. These posters truly are a work of art, and I look forward to hanging them up in our office. The National Parks: An American Legacy A stunning hardcover coffee table book full of gorgeous pictures to inspired wanderlust. 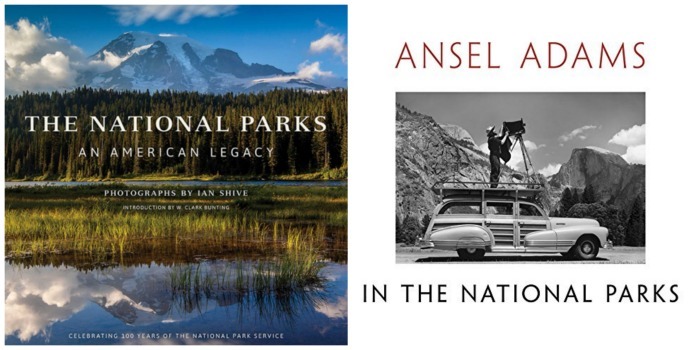 Ansel Adams in the National Parks: Photographs from America’s Wild Places Rare and unseen photos from the photographer that made the National Park System famous in its early days can be enjoyed in this hardcover coffee table book that everyone will want to flip through. National Park Boot T-Shirt All of the National Parks are represented in this boot footprint t-shirt. “Leave Only Footprints” is the motto of treating the National Parks with respect. Protect National Parks T-Shirt I’ve worn this shirt across America, and received rave compliments from Park Rangers and fellow hikers alike. Made with eco-friendly material crafted out of old plastic bottles, the shirt is super comfy and proudly displays a desire to protect America’s wild spaces. For the Benefit and Enjoyment of the People T-Shirt These words evoke so many emotions in National Park lovers. They were on the original gate to Yellowstone National Park, America’s first National Park. It’s a mission that still stands true today. Wild Tribute This collection of t-shirts and apparel celebrates the National Parks, plus gives a portion of the sales back to National Parks. I bought my first Wild Tribute t-shirt at Theodore Roosevelt National Park and would happily buy more at National Parks in my future. Monopoly: National Parks Edition Forget trying to buy up Boardwalk. Put your money and effort towards classic National Park sites, instead. TRIVIAL PURSUIT: National Parks 100th Board Game We saw this travel-friendly game in many National Park gift shops. It’s ideal for hooking onto a belt loop and playing when you’re waiting for a popular tour or stuck in traffic driving through Yellowstone or the Grand Canyon. 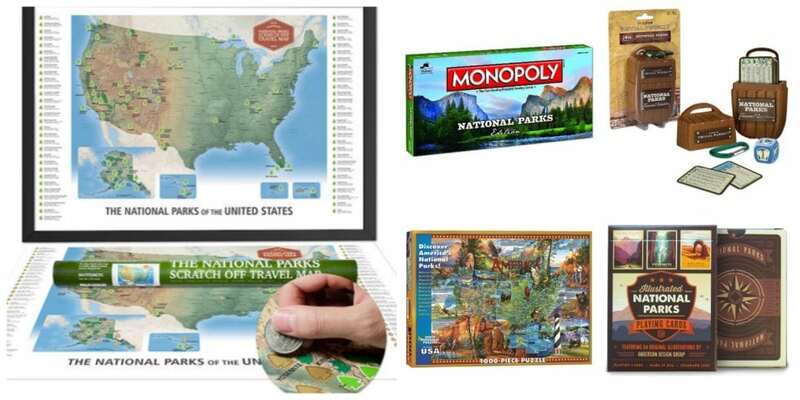 National Parks Puzzle This 1,000 piece puzzle features 400 National Parks and National Park Sites across America. National Parks Playing Cards Illustrations of National Park System sites make a game of poker or solitaire even more enjoyable. Scratch Off Map Keep track of where you have traveled with this National Parks scratch off map. After every visit, use a coin to reveal the arrowhead logo. Perfect for globetrotters and travelers. 2019 National Parks Calendar A stunning way to count down towards a vacation. When the year is over, frame the gorgeous artwork. The National Parks: America’s Best Idea I can’t tell you how many times my husband has watched this video series over and over again. 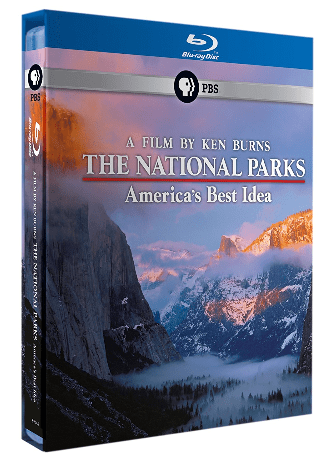 There is something so powerful about the story of the National Parks told by the famed documentarian Ken Burns. The story of how America’s Best Idea came to be will inspire you, upset you, and encourage you to fight to support these great lands today. Buy the DVD set on Amazon or help support PBS by purchasing it through their website.